There’s a hidden kind of victim mentality that gets in the way of effective living. It also seems to be an undiagnosed hang-up limiting the spiritual lives of a good many people. It shows up in folks you wouldn’t think of as victims at all. It’s a common belief in our culture today that shapes how we act and react. What is it? We believe that our desires just happen to us. Whether we’re talking about love or a preference for dark coffee, we think that our hearts are at the whim of our desires. We just love what we love. You want to get what you want and these is just no explaining it. This mentality creates all kinds of difficulty. Unmet desires cause us anxiety, even deep unhappiness.1 Deeply rooted desires for comfort, or control, or approval can undermine our relationships, leading us into great brokenness. 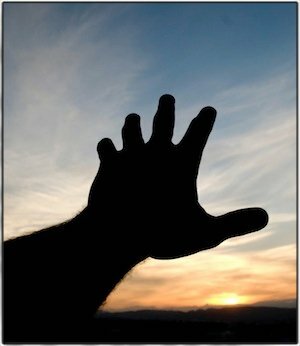 Many people have written that our desires are one clue into our God-given purpose, but even this positive view is a struggle if we are just at the mercy of desire. This resonated with me and led me to a week of my own study and reflection. It ultimately led to a message I preached at my church. here’s the line of thought. God made these trees and made them “pleasing in appearance.” That phrase is translated from a single Hebrew word, chamad, which means “something to be desired.” God made these trees, and so many other thing, with the intention that they would be desired. If God created desire and desirability, then God must have a purpose for it, right? Here God says that your heart has desires. Not only that, but God wants to give them to you. That means they can’t all be bad. Trying to live without desire isn’t a Biblical choice. In fact, desire is part of God’s design to help you do good, to help you connect with Him, to move you to do Godly things. Desire is not bad. It’s God given and it serves a purpose. That purpose? To create possibilities in our lives. Here’s how that happens. You desire something. Your heart turns toward it. This means you think about it more and you begin to develop and nurture an emotional connection with it. You begin to focus on it. Who is in charge of what you desire? This focus is important because the things we focus on shape us. This is an inescapable Biblical principle: By beholding we become changed. The more we focus our thoughts and emotions on something, the more we become the kind of person who wants or needs that thing. The more we are shaped, the more likely we are to act in the direction of that desire. So, by desiring, we create the space for something to have power and influence in our lives. We actually get what we want! All this means that desire leads to outcomes. Do you see that? Desire leads to action. But if this is true, then it matters enormously what we desire. If our desires lead to actions, to outcomes, then we need to be intentional about what we desire. Whatever we desire is going to bring about real outcomes in our lives. But this is where the problem lies, because our culture doesn’t believe that we can influence our desires; they just happen to us. Here’s something that might surprise you. The Bible says that you can choose what you desire. Your desires don’t just happen to you. You nurture them. You invest time and emotion in them. When you invest in them, they grow. When you choose to invest elsewhere, they fade. “Set your heart” the verse says. That’s setting your desires. Your heart is set on what you want most, what you long for. This verse is telling us to set our heart on Christ. It’s suggesting that we can choose to desire Christ. So stop for a moment and answer this question. 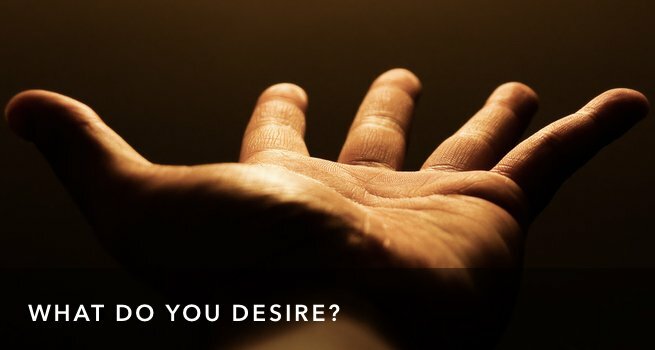 Do you desire Christ? Not as a good idea that you accept intellectually, or some religious hero that inspires you. Do you actually desire, do you want in an emotional way, do you long for, a life-giving relationship with Christ? You can. Catch that? 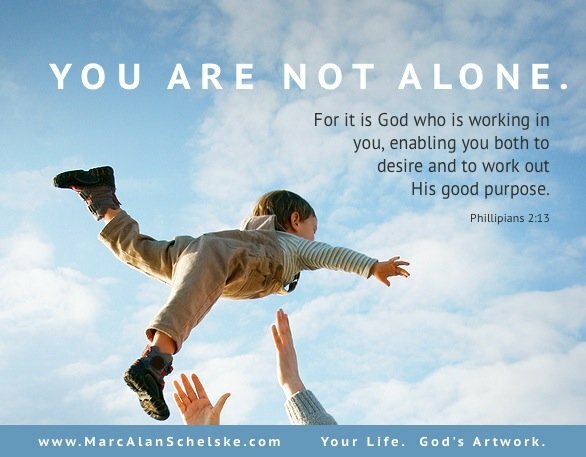 God is working in you to help you desire His good purpose. This isn’t something you have to muscle up on your own. God’s grace even extends to this–helping you desire the things that are best for you. Consider that for a moment. If you find yourself not desiring the best things, if you’re not really emotionally longing for a better relationship with God, that’s something God can help you with. That can be your prayer. “God, give me this desire. Enable me to desire You. Enable me to desire the things You want for me.” If that’s all you prayed for the next year, you’d be fine. How then do we set our desire? Then Jesus says something crazy. He says that if we “remain in him,” we can ask for anything we want, and it will be given to us. At first it sounds like a blank check. It it really true that if I do a handful of religious things, I will get what ever I want from God? Because, I’d really like an iPad 4 and a Harley to go with it! But that’s not what’s going on here. Jesus is teaching us about how our hearts change. When we remain in Him, we are building intimacy. Remember: by beholding we become changed. The more we look at Him, the more we seek Him, the more we study him, the more we listen for His voice–the more our hearts are shaped. As our hearts are shaped, we come to want the very things that He wants for us. If we remain in Christ we get what we want because we’re wanting what He wants to give us. Tweet That! That same sequence is found in the Old Testament too. Psalms 37:4. “Take delight in the Lord, and He will give you your heart’s desires.” Take delight in the Lord. Desire God. Choose to set your desire on Him. Then what? He will give you the desires of your heart. But what will your heart desire, if your heart is set on God? You’ll desire exactly what He wants to give you: Himself. A deep relationship that establishes your value and worth and purpose. A deep sense of belonging. Your identity will be secure, because it will be rooted in the One who made you. Your value will be established without the need to perform or accomplish or earn your place. And what you do will no longer be rooted in obligation or fear, but will become a response of love. The more your heart desires God, the more you will get exactly what your heart desires. Note: This post is the core of a sermon of mine. If you’d like to hear more, including more of the Biblical background, you can watch it here, on Youtube.